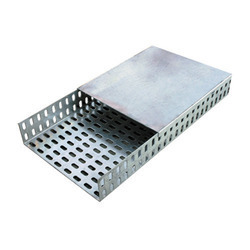 Our product range includes a wide range of galvanized cable trays and hot dip galvanized cable tray. We are proud producers of Hot Dip Galvanized Cable Tray. The materials chosen are highly non-corrosive and resistance to moisture attack. The quality control team check each product diligently to ensure high-grade sustainability. Our team of operators are well trained in the latest tools of high dispatch capacity. The capacious storage facility is able to provide the much-needed defect free preservation. Besides, efficient supply management has been essential in our client-centric approach.